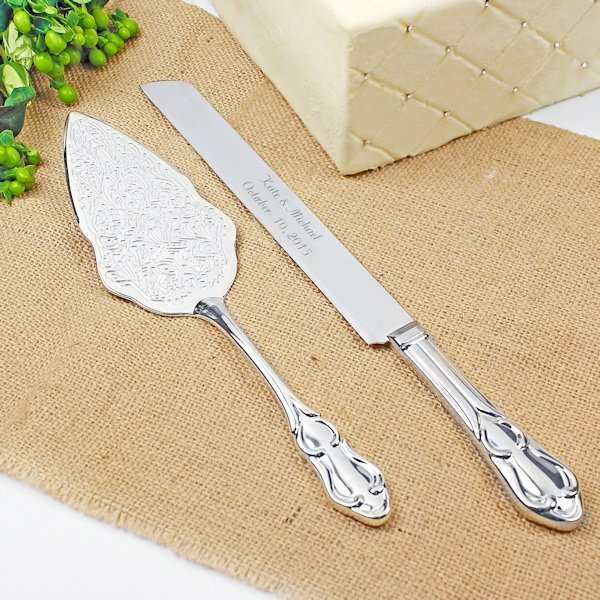 Let the romance continue! 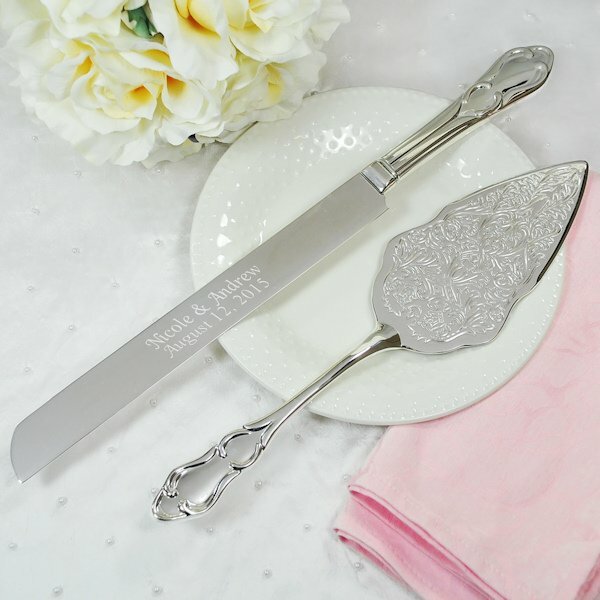 This vintage personalized wedding cake server set is silver-plated and features an romantic embossed pattern. 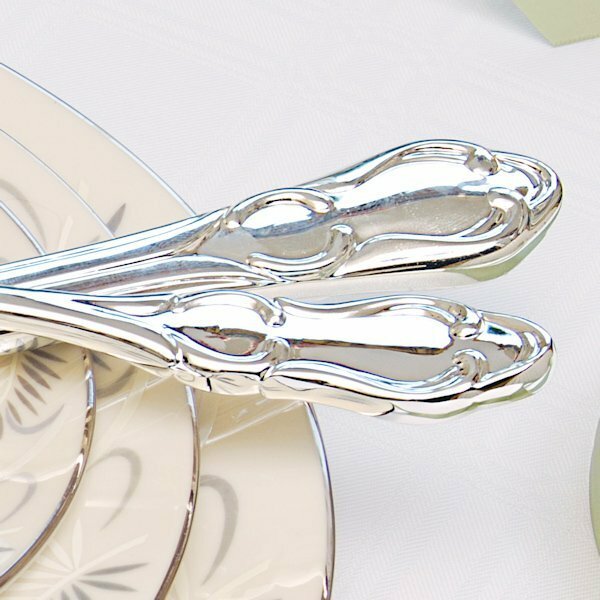 The swirled design on both handles and on the face of the cake server itself creates a classic presentation. 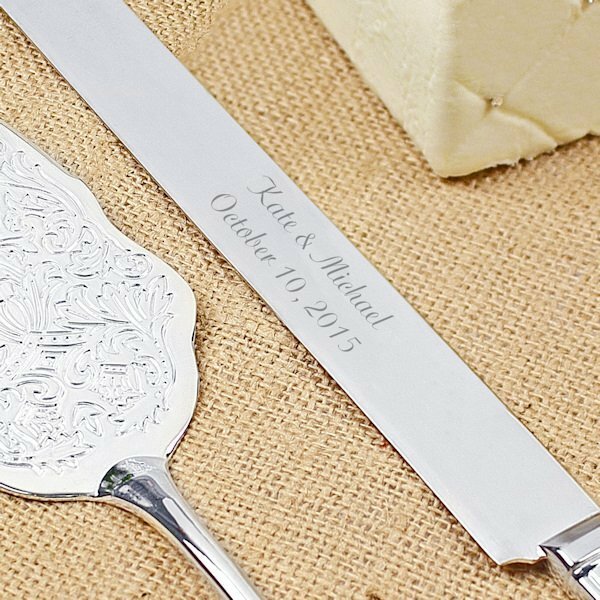 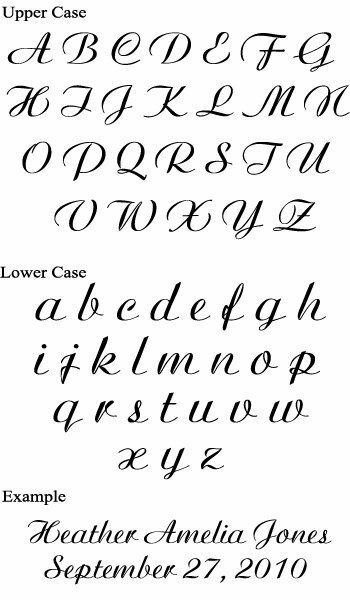 The knife blade is engraved with bride and groom's names and wedding date in fancy French script. 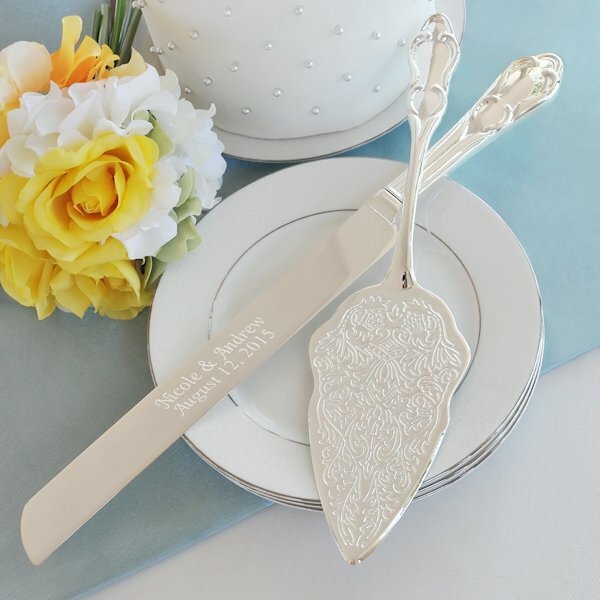 A fitting addition to your romantic or fairy tale wedding theme. The whimsical set is sure to become a keepsake.